Supermarkets are probably the most well known providers of loyalty schemes that provide customers with rewards for shopping. But there is diverse range of UK businesses across that do provide rewards to loyal shoppers. For businesses the benefits of loyalty schemes are clear. UK businesses that offer rewards to shoppers are more likely to hold onto their customers. Shoppers will often shop at one store regularly simply to increase their rewards and this does bring in extra business and increase sales. For loyal consumers the good news is that these rewards can bring discounts on a number of services and products. From travel agents to coffee chains to online stores, there will usually be some form of rewards that apply to loyal customers. Most stores now have websites that basically work in the same way as the stores do. Customers who have loyalty cards with certain stores can choose to shop online and still use or build up their rewards points. Most of the big names in the retail industry will provide this service including supermarkets and major department stores. Customers should check the terms and conditions as many stores do require that consumers pick up their points in the stores after shopping online. When shopping online look out for special promotions when extra points can be obtained. Airmiles can be collected when spending on credit cards and when using certain store loyalty cards. These points can then be redeemed for flights abroad and other holiday products such as hotels. Customers can purchase most goods to build up their points such as weekly shopping using store loyalty cards. Those wishing to collect Airmiles will have to register at the official website. Terms and conditions do state that if Airmiles have not been added to within a 24 month period all previous miles will expire. Many hotels chains do have their own loyalty schemes that are free to join. Hotel loyalty schemes are great for people who regularly use the same hotel chain. Rewards can include free nights and weekends at hotels, and upgrades to suites. For example, the Shire Hotels group will provide a three course meal in their hotel restaurant for only 60 loyalty points. Simply register at the hotel group’s website and start collecting rewards when using hotels. There are websites where services can be purchased and using these sites regularly can mean discounts with loyalty schemes. Red Spotted Hanky is one such website that is affiliated with companies such as National Rail. 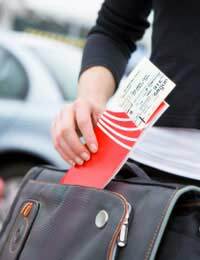 Purchasing rail tickets from this company will mean customers can build up points and obtain discounts on travel in the future. Websites such as Red Spotted Hanky will provide discounts on train travel across the entire UK. Significant savings can be made for regular rail travellers. Although most loyalty schemes are free some UK business loyalty schemes do actually require a joining fee. The well known Body Shop chain of stores for example applies a fee to join their loyalty scheme. There are some advantages to loyalty schemes that have membership fees and this will usually come in the form of receiving discounts. The Body Shop gives a 10% discount on all goods bought either in stores or online for a full year. These discounts will be very beneficial to customers who do shop at these stores on a regular basis. Most businesses will have some form of rewards scheme set in place. These are a great way to receive something back in return for shopping. Customers should remember that the price of the goods is the main consideration not the amount of rewards points that can be made when shopping. Always make sure to redeem points before that expiry date kicks in.